Some dog owners find it challenging to bandage the canine’s leg correctly even on the small wound. It is quite apparent that you can’t expect the adhesive bandage to fix on the injured area of your pet easily because of their fur and body shape. If you find cut on dog’s paw, then don’t get panic. In this article, I will discuss the guidelines on the subject of how to bandage a dog’s leg. First of all, it is essential that as a parent owner or caretaker you make an arrangement of pup first aid kit at your home itself. Make sure your kit contains all the necessary medical items like- cotton padding bandage, cotton bandage, zinc oxide tape, crepe bandage and adhesive bandage, stretchable gauze bandage, a self-adhesive elastic bandage, an adhesive tape, splint, ruler or wooden spatula, stirrups, scissors, and garters. All these items you can get it from vet clinic or pharmacist. Nowadays you can also get online bandages for dogs. After arranging necessary medical kinds of stuff let’s proceed with the tips. First of all, make your canine lie down on the padded surface in such a way that wounded leg remains up in the air. To create surface padded, you can use rug or towel. Now clean the wounded area on the leg with the help of the disinfectant to prevent infection. For cleaning the wound, you can also make use of the sterilized nonstick absorbent pad. After cleaning, place the swab on the wound by wrapping it with the zinc oxide tape. You can also make use of clean linen in the place of the swab. Make sure that around your valued friend you apply a single layer of padding. You can make use of Soffban to wrap the wounded leg of your pet. In the absence of soffban, you can make use cotton wools. Around the leg, both will form the soft layer. To keep the bandage clean and rigid you can apply a protective layer such as co-flex. 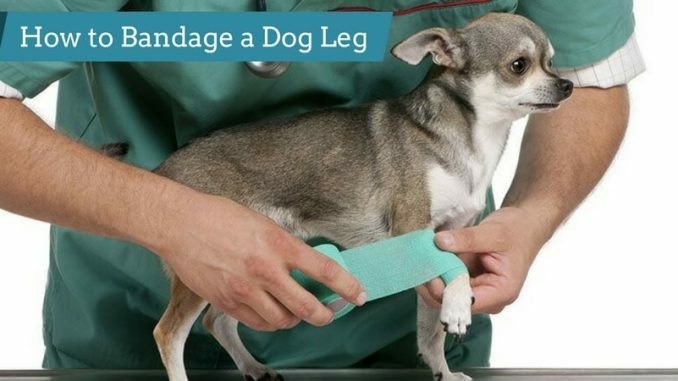 All these tips are basic guidelines for the injury occurred on your dog’s leg. Now I talk about the other parts of your pet’s body like tail and torso so that you can handle every situation sensibly, calmly and patiently which in turn provide significant relief to your four-legged friend. Over the gauze pad, you can wrap the rolled cotton and stretchable gauze for wrapping the dog legs. Finally, stick it with adhesive tape. You can cure the leg injury by applying this treatment. You can follow the same steps for tail injury but make sure that you use long materials for tail injuries. If the bandage falls off while the shaking of the tail, then at that point of time you have to secure the bandage. Make use of the towel for the torso wound. Around the torso, you can cover the towel or sheet. To save the bandage, you can make use of the pins on the side. You can also take help of pillowcase for covering. In case there is an emergency situation, and you feel that the pup needs your urgent attention then you can make use of household products like clean sheets, towel strips, paper products which will work as substitute pads, and healing agents like lotion or balm. All these items will provide great help in the absence of pet medical first aid kit. You must be familiar that your valued pet is not habitual of sitting at one place all the time. He wanders here and there which make his bandage dirty and unhygienic. On seeing this, immediately change the bandage to avoid infection. Be particular that the wrapped bandage on your canine’s body must not be too tight and too loose. It should be covered in the proper and balanced way so that your pooch can have movements of their body parts freely and comfortably without any obstruction. 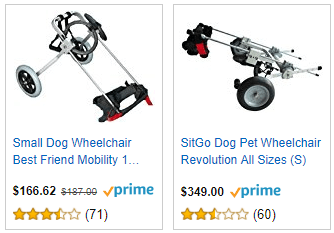 If your pet is unable to move due to severe injury on his leg, then you can make use of dog wheelchair to provide him some relief. All these guidelines will recover the damage of your loving pet. After few days you find that your pet’s wound is not cured then you should immediately consult the vet.